As your application or website grows, you may come to the point where you've outgrown your current setup. If you are currently hosting your web server and database backend on the same VPS, a good idea may be to separate these two functions so that each can operate and grow on its own machine. In this guide, we'll discuss how to configure a remote database server that your web server can connect to for dynamic content. We will be using WordPress as an example so that we have something to work with. We'll configure Nginx on our web server and then connect it to a MySQL database on a remote machine. We'll be doing all of this on an Ubuntu 12.04 VPS instance for our demo. To get started, we'll configure one VPS instance as the MySQL server. Having our data stored on a separate computer is a good way to expand gracefully when you've hit the ceiling on a one-machine configuration. It also provides the basic structure necessary to load balance and expand your set up even more at a later time. To get started, we'll need to install some basic packages on our database server. These will basically be most of the same steps you'd take for setting up a database for a traditional LEMP stack, but we won't need all of the components (some will be on the other server). You will be asked to select and confirm a root password for MySQL during the installation procedure. When you are finished, you need to run the database installation command, which will generate the appropriate directory structure to manage your components. 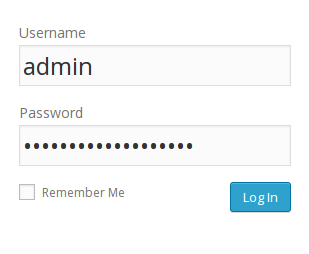 You will have to enter the MySQL administrator's password that you set in the steps above. Afterwards, it will ask if you want to change that password. Type "N" for no if you're happy with your current password. To all of the additional questions, you should just hit ENTER to select the default options which will remove some test databases and lock down access. Now that you have your database up and running, we need to change some values to allow connections from other computers. Within this section (in the area between this tag and the next section marker), you'll need to find a parameter called bind-address. This basically tells the database software which network address to listen to connections on. Currently, MySQL is configured to only look for connections from its own computer. We need to change that to reference an external IP address that your server can be reached at. Now that we have MySQL configured listening on an external address, we need to create a database and establish a remote user. Even though MySQL itself is now listening on an IP address that other machines can connect to, there are not currently any databases that it can access. This is also an opportunity for us to establish different privileges based on where a user is connecting from. We can create two "users" that can actually just be the same username, but associated with different hosts. What I mean by this is that we can create a user that is bound to the database server itself and grant it very broad permissions. We can then use the same username, but associated with our web server and give it only the permissions that WordPress requires. This will allow us to do heavy duty work while logged into our database server, while only providing our web server with the bare minimum of permissions it needs to accomplish its job. This is a good security policy that will partially shield the database server in the event that the web server is compromised. You will be asked for your MySQL root password and then you'll be given a MySQL prompt. 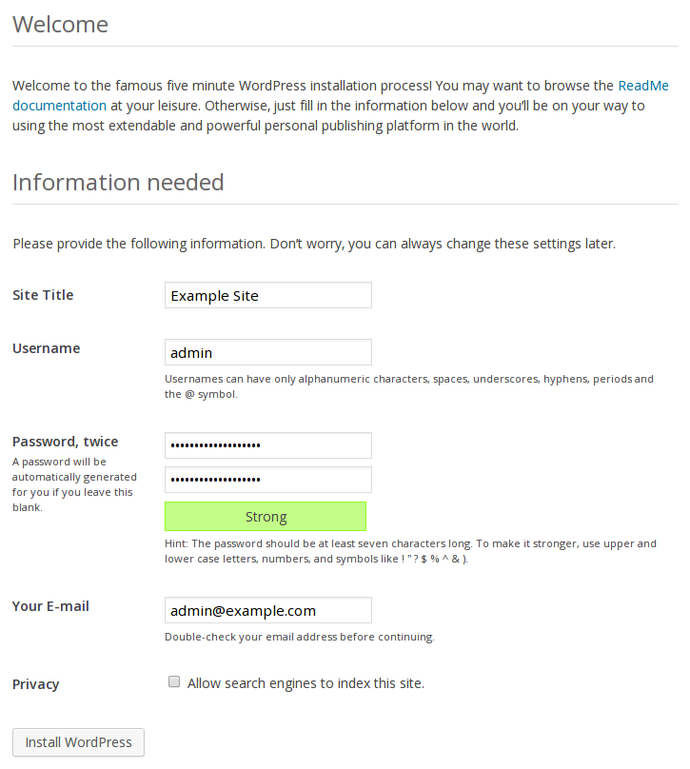 This user can now do any operation on the database for WordPress, but this account cannot be used remotely, as it only matches connections from the local machine. Let's create a companion account that will match connections exclusively from our web server. For this, you'll need your web server's IP address. We could name this account anything, but for a more consistent experience, we're going to use the exact same username as we did above, with only the host portion modified. Keep in mind that you must use an IP address that utilizes the same network that you configured in your my.cnf file. This means that if you used a private networking IP, you'll want to create the rule below to use the private IP of your web server. If you configured MySQL to use the public internet, you should match that with the web server's public IP address. Now that we have our remote account, we can give it the subset of available privileges that WordPress requires to operate under normal circumstances. These are select, delete, insert, and update. While this is the final goal, we are actually not able to implement this at this point. This is because during certain operations, you will have to adjust permissions temporarily to allow more access. One of these is actually the initial installation. It is easiest to just grant all privileges at the moment and then we will restrict them after we are finished with the installation. We will come back to this after we have configured WordPress. If you are not actually installing WordPress and are using this guide simply to learn how to separate your web server from your database, you may be able to use the more restrictive settings now. It depends on your web application, so look up the minimum database privileges needed for your application. Before we continue, it's best to verify that you can connect to your database from both the local machine and from your web server using the wordpressuser accounts. Type in the password that you set up for this account when prompted. Log into your web server to test remote connections. Again, you must make sure that you are using the correct IP address for the database server. If you configured MySQL to listen on the private network, enter your database's private network IP, otherwise enter your database server's public IP address. You should be asked for the password for your wordpressuser account, and if all went well, you should be given a MySQL prompt. If this is successful, then you can go ahead and exit out of the prompt, as you've now verified that you can connect remotely. For an additional check, you can try doing the same thing from a third server to make sure that this other server is not granted access. You have verified local access and access from the web server, but you have not verified that other connections will be refused. This is what we expect and what we want. Now that we have verified that our web server can access the WordPress database, we need to actually make this a web server by configuring Nginx, PHP and the necessary components. When everything is installed, you can begin configuring the software. Let's begin with PHP since that is quite easy. This is a security measure. By setting this option, we tell PHP not to try to guess the file that the user was trying to access if an exact match is not found. If we didn't set this, a malicious user could take advantage of this opportunity and get our server to execute code that we don't want it to. This is the end of our server block configuration. Save and close the file. Now that we have our web server set up with PHP processing and we have a database server, we need to install an application to take advantage of this and connect out to our database. 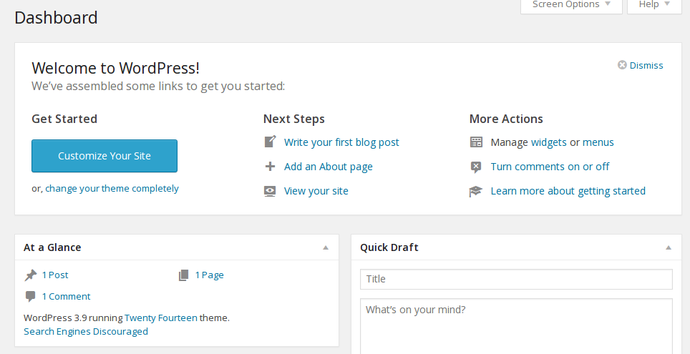 As you know by now, we're using WordPress to demo this functionality in this tutorial. Inside, we need to enter the correct values for our remote database. Remember to use the same IP address you used in your remote database test earlier. Close the file when you are finished. This is actually the only part of the entire configuration that explicitly links our web server and database server. Now, all you need to do is complete the installation through the web interface. When you are finished configuring your WordPress, you should go back and revoke some of your privileges for your remote database user. Most of the database privileges are not needed for daily operation and will only need to be enabled during updates or with plugin installations. Keep this in mind in case you get an error when performing administrative actions after taking these steps. Certain plugins may also require additional privileges. Investigate each plugin to see what it requires and consider choosing plugins that requires the least amount of additional access. Type your password to gain access to the prompt. The "usage" permission actually means no real privileges, so we don't have to worry about that. The second privilege line is the one that we set initially, allowing all privileges on the wordpress database. The procedure for applying new privileges that are more restrictive than the current privileges is actually two steps. If we check again, we can see our granular privileges are now set. If you were following along, you should now have a good understanding of how to get a remote database talking with your application. While we went over some WordPress-specific steps, the general idea, especially those related to MySQL configuration and user privileges, are applicable in most remote MySQL situations.